One of the most shameful realities amongst those who claim to follow the Christ is obvious existence of needlessly scattered souls who ought to be assembling together but for any number of named of un-named reasons fail to work at being united. How often our announcement of “new congregation established” is another way of saying, “A faction that could not get along with their brethren decided to start meeting too. Recently I sat in a meeting with several gospel preachers, represent- ing rather conservatively 300-400 years of experience. As we discussed divisions that occur over liberal/conservative splits, the observation was made that the liberals attract those who are moving away from the doctrine of Christ, leading to further digression and apostasy, looser teaching, a more “grace oriented” approach, less distinctive preaching that distinguishes the Lord’s church from the denominations of men, sermons that are filled with anecdotes and few Scriptures, etc. On the other hand, those who preach a conservative message tend to attract those who are overly negative people (they are against whatever anyone else proposes), a legalistic mindset (salvation through perfect knowledge and obedience), divisive over every disagreement in understanding about a Bible verse or doctrine, and extremists. Because our message is more conservative, there is a tendency to attract such people and perhaps we have not written enough to address the problem of factionalism among us as a people. In 1983, the Guardian of Truth Foundation published a book which I edited entitled Factionalism: A Threat to the Church which was designed to address this issue. Almost everything that I will write in this discussion of factionalism has already been published in that book. I say that lest someone think, “Mike Willis is going liberal.” This material has been available for public consumption for sixteen years without anyone challenging it. I believe today what I believed in 1983 about the loose views about marriage, divorce and remarriage, the grace/unity (unity-in- diversity) approach to unity (whether with reference to the divorce and remarriage issue or institutionalism, the sponsoring church, instrumental music, etc. ), the sponsoring church, the church building and maintaining fellowship halls, institutionalism, instrumental music in worship, and church support of missionary societies. Having stated that, I also emphasize that I believe the same thing today about factionalism as I believed in 1983 and believe that we have a significant problem among us with churches being ripped apart by factional brethren. Likewise, the early church was racked by both liberal and factional movements, and God’s word addresses both dangers. The English word group from which “factionalism” is derived is the derivative of “faction.” A “faction” is “1. a number of persons in an organization, having a common end in view; especially, a party within a party, seeking to further its own ends, usually in opposition to the ends and aims of the main body or leadership of the party; a clique. . . 2. partisan conflict within an organization or a country; discord; dissension” (Webster). The word “factious” means “1. producing or tending to produce faction; causing dissension. 2. produced or characterized by faction.” “Factionalism” is “factional quarreling; a spirit of faction.” The Bible addresses these attitudes and actions of men in no uncertain terms and labels them as sinful. Let us consider some of the Scriptures where such sinful conduct is addressed. 1. 1 Corinthians 1-4. The church at Corinth was torn apart by factionalism. The division had not progressed to the point that brethren were meeting in different locations, but there were certain identifiable factions within the local church, identified as “I am of Apollos,” “I am of Cephas,” “I am of Paul,” and “I am of Christ” (1 Cor. 1:12). Paul condemned the factionalism or division in the church at Corinth (1 Cor. 1:10-17). He called the divisions schismata, from schisma which means “a. prop. a rent:. . . b. metaph. a division, dissension” (Thayer 610). George Campbell wrote, “whatever alienates the affections of Christians for one another, is manifestly subversive of both, and may consequently, with the greatest truth and energy, be denominated schism” (The Four Gospels I:321). Paul charged that the existence of these factions within the church was proof of carnality (1 Cor. 3:1, 3), envy, strife and division (1 Cor. 3:3). Let’s look at these words from 1 Corinthians 3:3. The word “strife” is translated from eris. It is defined as “contention, strife, wrangling” (Thayer 249). The word describes that condition that develops in a church when various parties turn against each other and vie for control of the congregation. The word “division” is from dichostasia which is defined as “dissension, division.” This is the product that such dissension creates. 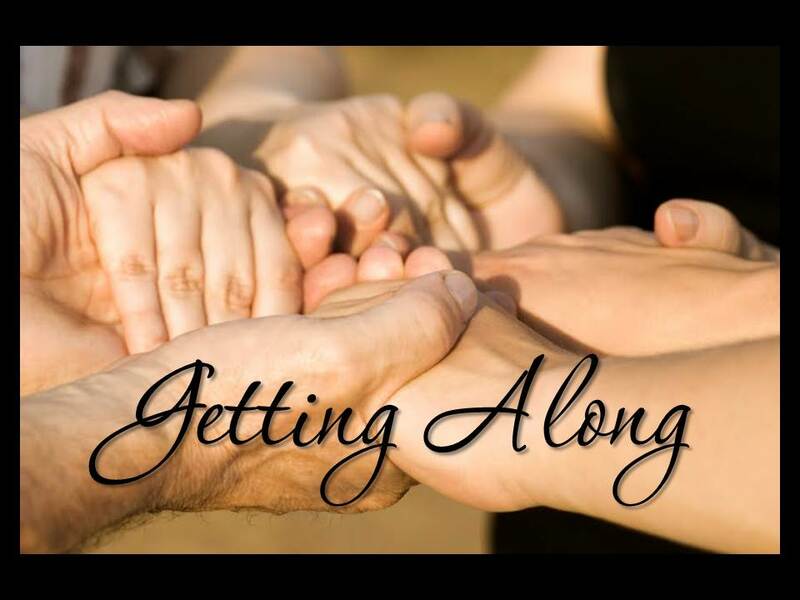 The tragedy of the divisions that occur among so many congregations among us is that they occur with virtually no doctrinal disagreement among the brethren. Just because one person cannot conscientiously say something the way that another believes it should be said, division (which everyone admits is sinful) is justified under the pretense that one is “standing for the truth.” Standing for the truth never justifies slandering a brother by misrepresenting what he believes to make one’s own cause look more righteous, working to create support for one’s party by political campaigning and maneuvering (every past disagreement that one had with someone on the other side is a legitimate tool to use to persuade another to join as a political ally against the other side), overthrowing elderships, driving away conscientious brethren because they happen to disagree, refusing to speak to one another, and a host of such like offences. What I have just described has been repeated in too many congregations for us to ignore the fact that such conduct is a problem among us at times. The Lord condemned such division in no uncertain terms. Writing in the context of 1 Corinthians 1-4, the context of the divisions created by the various parties at Corinth, Paul said, “Know ye not that ye are the temple of God, and that the Spirit of God dwelleth in you? If any man defile the temple of God, him shall God destroy; for the temple of God is holy, which temple ye are” (1 Cor. 3:16-17). This passage is not to be confused with 1 Corinthians 6:19 where the “temple” figure is used to describe the physical body; this passage is using the word “temple” to describe the local church. The “defiling” of the temple is that which occurs by sinful division. God’s judgment against those who destroy God’s temple by sinful division is clear: “him shall God destroy” (1 Cor. 3:17). “Debates” is translated from eris, the same word as appeared in 1 Corinthians 3:3 which was there translated “strife.” The word does not describe that orderly polemical discussion of different points of view. The English word “quarreling” (NIV, NRSV) better captures the meaning of eris. The word “envying,” from zelos, also appeared in 1 Corinthians 3:3 and has previously been discussed. “Wraths” is from thumos, which describes “passion, angry heat. . . anger forthwith boiling up and soon subsiding again” (Thayer 292). There is another kind of sinful anger translated from the word orge that describes a settled anger that shows itself in revenge, bitterness, malice, and hatefulness. But this word emphasizes what so frequently happens when brethren become embroiled in controversy and one loses his temper. Sometimes business meetings are disrupted by this kind of behavior, and conversations on the parking lot or in the vestibule become so heated that someone is guilty of this kind of sinful wrath. Paul adds that “strifes” also come from sinful factionalism. The word is translated from eritheia which has an interesting history. It was “used of those who electioneer for office, courting popular applause by trickery and low arts.” (Have you noticed any such political campaigning to solicit adherents to one’s party in church divisions? The spirit of Absalom did not die when he died. He campaigned to create dissatisfaction with the administration, feigning sympathy for the cause of every man dissatisfied with anything happening in the kingdom [2 Sam. 15:1-5].) Thayer continues to explain that the verb form of the word was derived from erithos which means “working for hire, a hireling” and then adds, “in the N.T. a courting distinction, a desire to put one’s self forward, a partisan and factious spirit which does not disdain low arts; partisanship, factiousness” (Thayer 249). If you think that brethren will not stoop to what Thayer describes as “low arts” to create their own following, you are naive. Another expression of sinful conduct in the midst of factionalism is “backbiting.” The word is translated from katalalia,which Thayer defines as “to speak against one, to criminate, traduce” (Thayer 332). The English word “traduce” in case you are not familiar with it, means “to defame; to slander; to malign; to caluminate; to vilify” (Webster). Brethren who disagree sometimes latch on to the slenderest thread of “evidence” in order to make un- believable charges against men whose moral character is above reproach, simply because they thought they could win people to their side by painting those on the other side as ungodly. This is factionalism in full bloom. Another expression of sinful conduct by factional people is “whisperings.” The word is translated from psithurismos, an onomatopoeic word, which means “a whispering, i.e. secret slander” (Thayer 676). The difference betweenkatalalia and psithurismos is that one works out in the open and the other works behind the back and under cover, but both accomplish the same thing. Men who would not come to talk to a brother about their differences will work like a bunch of maggots behind his back to destroy his influence and alienate him from those who love him. Another expression of sinful conduct by factional people is described as “swellings.” The word is translated fromphusiosis, “a puffing up of soul, loftiness, pride.” Arrogance is typical of factional brethren who think that their own judgment is superior to that of all others and are willing to divide churches to press their opinion on others (it is so much superior to any other person’s opinion). In circumstances in which men disagree over some matter, wisdom dictates that one should seek a multitude of counselors, in obedience to the divine counsel (Prov. 11:14; 15:22). However, when the advice that is given is not what one wants to hear, factional men tend to have such an arrogant disposition about their own opinions that they evaluate their own judgment as superior to that of older, wiser, and more experienced brethren. Of course, anyone who agrees with him after having only heard his one-sided presentation, which usually gives a very slanted assessment of those who disagree with him, is judged to be a very wise man. Another expression of sinful conduct by factional people is “tumults.” The word is translated from akatastasia which means “instability, a state of disorder, disturbance, confusion: 1 Cor. xiv.33; Jas. iii.16; . . . plur. disturbances, disorders: of dissensions, 2 Cor. xii.20” (Thayer 21). Factional brethren create chaos in churches. The disorder and confusion that come is the natural result of their mindset. “Strife” is from eritheia, which we previously considered on 2 Corinthians 12:20. It was used historically to refer to the politician and then to the hireling disposition that works for what one gets out of working for himself (without regard to service to others). Then the word is used to refer to “a courting distinction, a desire to put one’s self forward, a partisan and factious spirit which does not disdain low arts; partisanship, factiousness” (Thayer 249). The first steps of factionalism are taken by a person with this kind of partisan and factious spirit who is working in the congregation. The word “sedition” is from dichostasia, which means “dissension, division” (Thayer 153). This describes the condition of a church when there are identifiable parties meeting together (“I am of Paul,” “I am of Cephas,” “I am of Apollos”). The progression of the division has increased to the point that the partisan and factious person has been able to gather a nucleus of men in support of his position. He presses others to accept his position to such a degree that he creates a reaction in opposition to himself. Now there is party “A” and party “Not-A.” When a church reaches this condition, dissension and division have occurred. All of the congregation is still under the same roof, but the presence of distinctive parties is evident. The third word is “heresies.” The word hairesis is used in this context without reference to the doctrinal correctness of the opinion that is held. Though error certainly may be involved, the emphasis here is on the divisive spirit rather than the content of the teaching. The heresy is heresy not because what is consolidating the party is unorthodox, but because of the party spirit that loves its doctrinal position more than it loves its brethren. They would rather cling to their position, even if that means that they must drive away from themselves everyone who disagrees with them. Thayer defines the word hairesis as a derivative of haireomai, “choosing, choice. . . 3. that which is chosen, a chosen course of thought and action; hence one’s chosen opinion, tenet; acc. to the context, an opinion varying from the true exposition of the Christian faith (heresy): 2 Pet. ii.1. . . .4. a body of men separating themselves from others and following their own tenets [a sect or party]: as the Sadducees, Acts v. 17; the Pharisees, Acts xv.5. . . . 5. dissensionsarising from diversity of opinions and aims: Gal. v.20; 1 Cor. xi.19” (Thayer 16). Notice that the “heresies” of Galatians 5:20 have nothing to do with unorthodox belief. Rather, it has to do with that holding of an opinion to the point of separating oneself from his brethren. At this point, brethren cannot meet together under the same roof. Until brethren come to grips with Paul’s statement that “strife, seditions, heresies” are works of the flesh that cause one to lose his soul, we will continue to have churches torn asunder by factional conduct of brethren. The weak defense, “We had to divide to maintain the doctrinal purity of the church,” is betrayed by the fact that the two groups created by the factional conduct continue to invite men standing for the same doctrine to hold their meetings and continue to believe, teach and practice the same things. Brethren this scenario has repeated itself in congregations all across America from time to time. Our factionalism is shameful. How often our announcement of “new congregation established” is another way of saying, “A faction that could not get along with their brethren decided to start meeting too. God’s Word commands that we divide from those who present a false gospel and a false Christ. Much of what passes for the gospel today in the church is anything but that. It is true that there is much division and carnality drives some, but, we cannot consider those who hold views contrary to what the Bible teaches about Christ, His gospel, His church and His word our brethren for they are not born again. thanks for your comment, and I heartily agree. There is certainly a time when one must be willing and faithful to “note those who walk disorderly” or “do not abide in Christ” (per Romans and 2 John). It is when that is clearly not the case that our hearts should soften and turn back to Christ.